Arsenal face a real nightmare next weekend as Arsene Wenger will have to put together a makeshift defence against Chelsea in the FA Cup final. Laurent Koscielny was sent off in the first-half against Everton on Sunday in the final Premier League game of the season, and in turn he’ll miss next weekend’s clash through suspension. While the Gunners will likely try their luck and appeal to get it overturned, it’s highly unlikely that they’ll be successful given the challenge. Nevertheless, that wasn’t where the bad news ended for them unfortunately as Gabriel was stretchered off in the second half and is now a major doubt to face Chelsea too. All that means that Per Mertesacker made his return against the Toffees, his first appearance for Arsenal since April 2016 due to long-term injury woes. 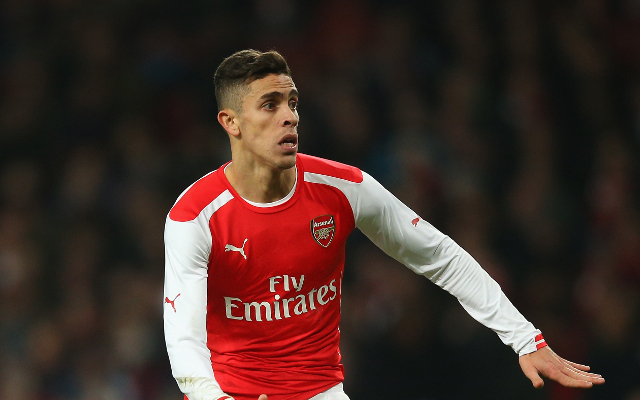 To make matters worse, Gabriel now coming off with an injury. Looks like 2 of our centre-backs are out of the Cup Final. ? Coutinho confirms Europa League and Koscielny/Gabriel out of the cup final. Horrible horrible season. You FOOL, not only could this ruin today but you're now out of the final, you brain dead idiot! !